Is it simply the essential oils or will it be right to call them ‘the concentrated drops of nature in a bottle’? Well, the answer is tough because they have taken the recent times with storm. The essential oils have always invoked the thought of quite spas, scented candles, serene meditation places, aromatic therapies but as of now, it’s better to rephrase them. They are being used in countless personal care and wellness products to that of over-the-counter medications which infuse those essential oils. Yet, the trick lies in choosing from the highly best organic essential oil brands which will never fail to give you wholesome benefits rather than just going for a simple essential oil. Essential oils, in simple terms, are concentrated extracts of roots, woods, leaves, herbs, flowers, fruits, plants pretty much all good things nature has to offer. It has the very ‘essence’ of the plant or a flower and hence no doubt they are named ‘the essential oils’. The main property of them is that they are volatile i.e. they have the tendency to vaporize and that’s why you can find them spreading a soothing fragrance when diffused. The best essential oils you could get your hands from the reputable essential oil companies can give you therapeutic healing, soothing, wellness to that of potent anti-microbial, anti-inflammatory, anti-bacterial properties. On the whole, an essential oil can be a complete personal wellness item that comes handy to your needs. Opt for essential oils that are extracted from plant and fruit bodies cultivated in organic means and sourced from local farms, gardens, native places of the particular plant/fruit, forests. Steam Distilled, Cold-Pressed methods are the best methods for extracting best organic essential oils. 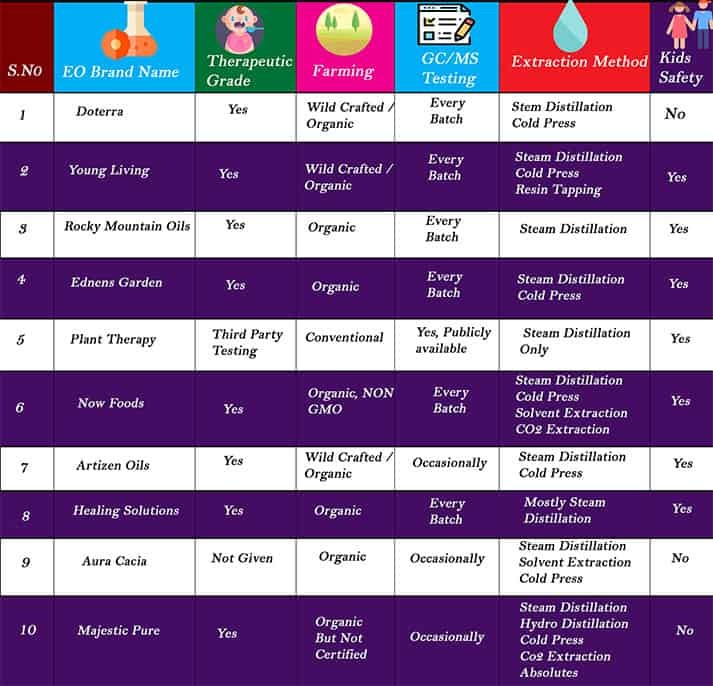 Buy essential oils that are obtained through these methods alone. Make sure they are First-Distilled – second and third distillation almost reduces the ‘essence’ potency to the minimum. Choose essential oils that are 100% organic or to the least of more than 95% of organic source. If the essential oils come from local or small farms doesn’t mean they are less in quality. Another simple step is to read the label. Common names might be same for different plants or flowers so if you’re looking for something specific, try reading the label where you can find the right botanical name (Latin name). Ex: you can see variants like Lavandula intermedia and Lavandula angustifolia but the L.angustifolia is the preferred lavender essential oil for our personal use. How Do I Pick The Best Essential Oil Brands? No matter how big or small the brand name/company is, there are certain things you might want to give a heads up. While choosing the best essential oil companies, take a look at the following things in mind. Look for brands that are certified. Few notable ones are Organic by ECOCERT ICO, COSMOS ORGANIC, and USDA Organic. Go for brands who either distill by their own or who deal with reputable organic distillers or buy from brands that sell essential oils from their own farm produce. They are basically additive-revealing techniques that are practiced to estimate the purity of the essential oils. GC separates the components that are added in the essential oils according to their molecular weight differences. The MS measures the positive and negative ion currents that determine the presence and quantity of chemical constituents. The down-side is that these methods are expensive and requires skill and practice. This GC/MS test result is publicly available at some companies. Follow these simple steps, and it will definitely ensure that you get your hands on the good essential oil brands. We, at Truly Geeky, have tried to make your work a lot easier. Take a look at our list of top essential oil brands that offer the best quality certified organic essential oils for you. With every brand, their best selling oil is given for your reference. Take a look. dŌTERRA is a Latin derivative meaning ‘gift of earth’ and they sure live up to their name offering you therapeutic-grade essential oils and sharing them with the world. The dŌTERRA brand’s essential oils and proprietary blends are carefully sourced and distilled from plants that have been harvested by experienced growers from across the globe for ideal quality and efficacy. Moreover, dŌTERRA essential oils are carefully and thoroughly tested using the strict ‘Certified Pure Therapeutic Grade (CPTG)’ quality protocols. Their superior quality essential oils are carefully extracted through low-heat steam distillation and cold-press extraction which retains all the benefits intact. If you’re looking an essential oil from the best, top essential oils brand, then dŌTERRA will be a good pick. The dŌTERRA’s Introductory Kit is a great way to start with the brand and also for folks looking for a starting point into essential oils. The introductory kit includes a 5ml bottle of Certified Pure Therapeutic Grade essential oils of Lavender, Lemon and Peppermint. It comes in a wonderful presentation box that includes suggested use of the included oils providing you with insight. Try them. Where To Buy The Original doterra Essential Oil? Authentic doterra products can be purchased from doterra website or with one of their wellness advocate living at your place. You can find them using the form given here. doterra oils can also be purchased from the shopping store like Amazon but check the seller rating to know whether they provide the original oil. The Young Living has been among the pioneers of the essential oil brands and has led the industry for about 25 years which makes them pretty sure what the good essential oils brands need to be. The brand’s Seed to Seal® promise ensures that their products are created with conscientious Sourcing, Science and Standards. They source from their global farms across N.America, Europe, Australia, Africa where they plant, grow, harvest, distill and produce the essential oils. Their farms help them create a more stable and sustained supply chain for their essential oils. The essential oils and products of Young Living are made sure of retaining the wholesome benefits and wellness stay intact. The company is always passionate about collaborating with nature to bring the customers the purest products on earth. The Thieves Blend is a powerful combination of Clove, Cinnamon bark, Lemon, Eucalyptus Radiata, and Rosemary essential oils, the perfect therapeutic combo that fills a vibrant rich spicy aroma yet highly soothing and healing. “Thieves” has been among the best and most popular products of the Young Living brand and been used in cleaning and personal care products. If you’re interested, then give no second thoughts, just try it! Where To Buy The Original Young Living Essential Oil? Mostly Young living oil available at the shopping stores seems to be adulterated or replaced with other oils. To get YL’s best quality essential oils check out their official website or shopping through the independent distributor. Rocky mountain oils have acquired the Native American Nutritionals quite a while before. Now the Rocky Mountain Oils, one of the best essential oil brands is known to deliver the only the best organic oils and propriety blends. Their commitment towards delivering high-quality products is rooted in their S.A.A.F.E.Promise™ and backed by 100% Guaranteed Satisfaction of Quality (100GSOQ) along with GC/MS purity test. Rocky Mountain Oils™ support small farms, work with qualified distillery technicians and state-of-art labs to bring you the therapeutic essential oils in their purest form. Their sustainability efforts include packaging created from 100% recycled materials. They offer you combos, kits, collections like ‘good night’s rest, relax + unwind spa basket and few you can pick and try for yourself. Make a visit to their official site where you can get access to tons of information and a good insight about essential oils. The orange essential oil from this top essential oil brand is a definite try out. The orange essential oil (Citrus Sinensis) is commonly known as sweet orange and has a sweet aroma presenting you with a top fragrance note. It’s a great oil to diffuse in kid’s room to encourage a good night’s rest. It’s a gentle oil and great for skincare routines. It’s good for dry, dull, dehydrated and oily complexions and improves skin tones. Use it topically or diffuse for cheerfulness and optimism. Where To Buy The Original Rock Mountain Oils? Rock mountain oils are available through an eCommerce store like Amazon, through their website, wholesalers and retail stores. The Edens Garde oils are 100% pure therapeutic grade and sourced from around the globe while meeting rigorous batch tests and meeting quality standards. The brand stands by their cornerstone called, the E.D.E.N.S (Effective. Dedicated. Educated. Natural. Safe) pledge. EG’s oils are dedicated to the customer-first policy with quick responses and 30-day no-questions-asked returns. They employ certified aroma-therapists who regularly contribute to educational blog pieces and newsletters that answer your queries and thoughts. The Edens Garden oils are unadulterated, free of synthetics and entirely pure and follow sustainable practices from soil to bottle. You can find single oils, synergy (blends) oils, oils for kids, gift sets and kits. 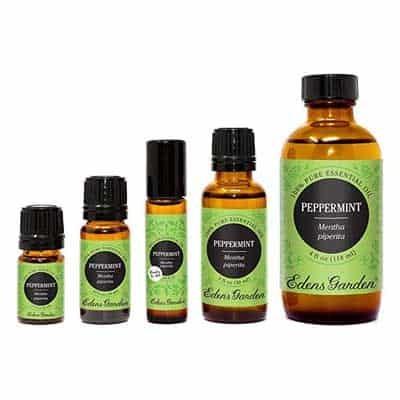 Without a doubt, the Edens Garden pops up when we look for the best brand of essential oils. The Edens Garden Peppermint oil (Mentha piperita) is sure to elevate grief, mood swings, heaviness, and good for sore bodies. Cool, refreshing and clearing aroma is therapeutic with a fresh minty layer of sweetness. The peppermint oil is really uplifting and greatly improves your moods. Do try it. Where To Buy The Original Edens Garden Oil? Through e-commerce stores and EG’s customer loyalty program. When it comes to Plant Therapy®, the quality standards are way high. The brand offers quality products certified through ECOCERT ICO and you can find the brand’s official certification of ‘USDA Certified Organic’ on their official site. The brand puts forth quality checks like No GMO’s ( i.e. Genetically Modified Organisms ) are prohibited and hence their sources from farms use only natural organic seeds and ingredients; Clean Soil is one of their finest standards, where the land from which they source their ingredients doesn’t use any prohibited substances, synthetic fertilizers, sewage sludge, irradiation, and genetic engineering. 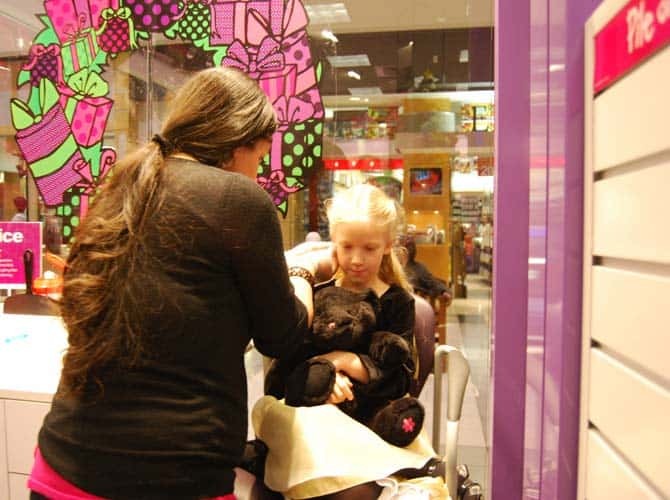 ‘KidSafe’ by Plant Therapy is the first ever line of essential oils developed for children. The brand makes sure that the end product in your hands is of exceptional quality and the purest of ingredients everything organic all the way. 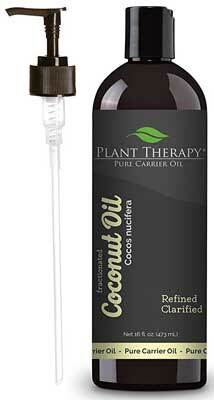 Plant Therapy is definitely one of the most reputable oil companies you can put your money on! The Top 6 Organic set is a perfect combo of essential oils to get your hands on and comes in a brand new attractive wooden gift box. The set includes 100% pure and best organic essential oils of Eucalyptus Globulus, Lemon, Peppermint, Sweet Orange, Tea Tree and Lavender. A fractionated coconut oil absorbs very easily into skin, making it ideal for use with any essential oil or blend and retains the same incredible properties of a virgin coconut oil. This wonderful carrier oil is thinner than most carrier oils and can be used for skin moisturizing, makeup-removal, for healthy lustrous hair. It’s must-have carrier oil with tons of benefits in them. Where To Purchase The Original Plant Therapy Oils? 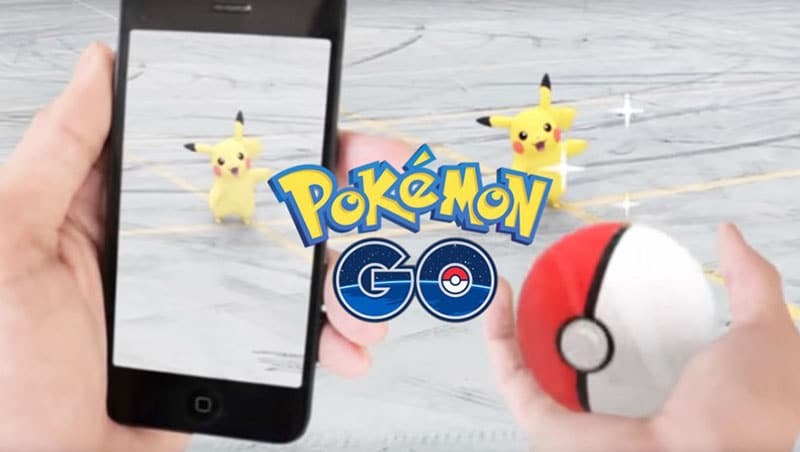 You can purchase via the stores like Amazon, eBay or Walmart or through their official website with lots of offers. You can join in a wholesale group and get a license to sell their products on your websites too. The Now Food offers the best quality essential oils that are USDA certified organic and has the NO-GMO Project verified seal. It offers an exclusive Safety Data Sheets for essential oils. A safety data sheet is a compilation of safety information’s on any material used that may pose a safety risk plus includes the shipments of materials and quick reference to anyone handling the material. This sheet is a way of ensuring the safety and quality of their products and readily available to customers. The therapeutic and quality grade essential oils from Now Foods are a definite try out and no doubt in taking place of reputable essential oil companies. 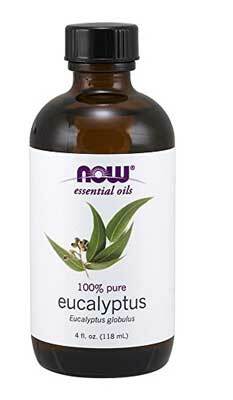 The Now Eucalyptus essential oil is a 100% certified organic pure oil with a strong aromatic and camphoraceous smell and offers you revitalizing, invigorating and clarifying feel. Try them. Where To Buy The Original Now Foods Essential Oils? You can get essential oils on their website, e-commerce stores like amazon.com and from the distributors worldwide. If you live in the United States or Canada, you can also find their products at the local health stores. 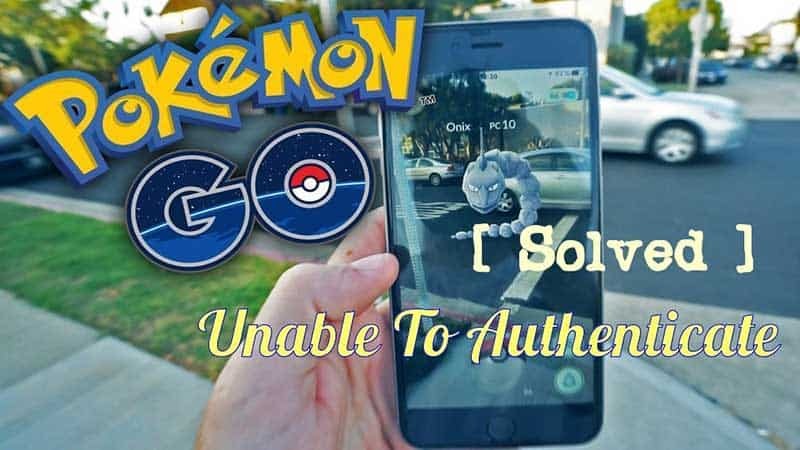 To find the stores you can use the link here. At Artizen Oils they do have a simple goal, to provide the customers with high quality organic essential oils with a price that’s affordable. They give you a wide range of superior best organic essential oils and proprietary blends at a price that makes sense to the customers. Artizen oils have become a few to top the lists of good essential oils brands with their direct commitment to their customer and putting them before the brand themselves. Superior cultivation of ingredients, superior distillation and bottling care process of the Artizen oils sets them apart and they guarantee you with best, aromatically superior essential oils to you. You can easily try their range of essential oils, blends, kits, and sets while you can choose according to your preferred fragrance, mood type and uses too. If you don’t feel satisfied with this best essential oil brands products, you can always return it. Refund guaranteed but their essential oils would not let you refund. Satisfaction Guaranteed!. 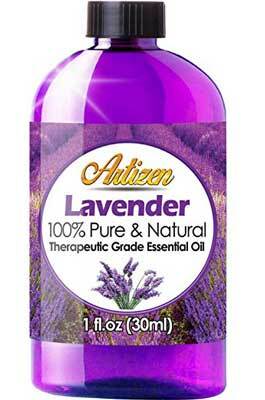 The Artizen Lavender is 100% pure and natural therapeutic grade essential oils with tons of uses and benefits. Simply add a few drops to bath, shower, facial steam, in a diffuser, long slow breathes to ease from nasal discomforts. You will like the healing aromas and natural relief. Where To Buy The Original Artizen Oils? You get the Artizen oils at the Prime Time Commerce which sells on Amazon, Scottsdale Wholesale which sells on eBay and Walmart. They don’t sell the products on their official website. At Healing Solutions, all their essential oils and proprietary blends come with a ‘purity guarantee’ which ensures you, get the true organic unadulterated essential oils. One of the top essential oil brands, Healing Solutions have their in-house state-of-art GCMS testing lab where they make sure all the essential oils undergo comprehensive tests while the final output is superior quality oils which give you the true therapeutic value. You can find their recent GCMS tests were done at their labs for their top 15 oils on their website and even more information. Premium therapeutic grade organic oil is what Healing Solutions strive for and it sure did achieve it. No wonder it’s among the top essential oils brand with an affordable price range. Like the name, it’s a must-try set of best blends that right away guarantees you good therapeutic and healing properties. 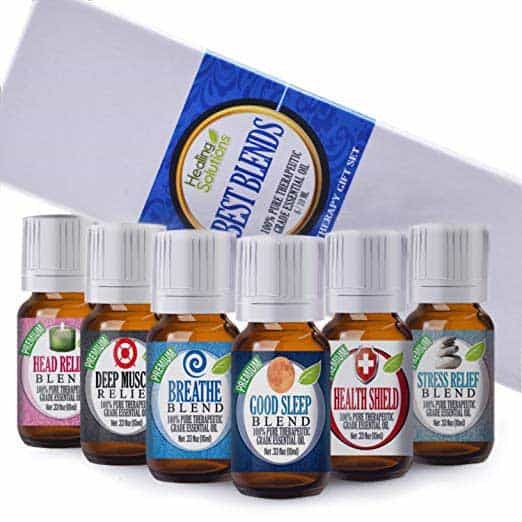 The best blends essential oils set includes 10ml bottles of the following: Head Ease blend, Breathe blend, Deep Muscle Relief, Health Shield, Stress Relief blend and a Good-Night blend. To know each of the ingredients in their blends, do visit their site and you will definitely be amazed by it. Where To Buy The Original Healing Solutions Oil? Aura Cacia is a definite member when it comes to choosing best and reputable essential oil companies. All their products are tested and verified for purity so you don’t have to worry. Their essential oils, skin care oils and products are made from pure highly organic botanical ingredients to unlock the nature’s bounty and improve well-being. When it comes to sourcing their ingredients, they support small farms, support their growers, they carefully choose high-quality organic ingredients and uses global sourcing strategy to get the best. Aura Cacia is committed to provide the top-quality essential oil products through sustainable growth that preserves and improves the nature and resources. So the products from this best essential oil brand is a definite check out !. Ylang Ylang scent is known to elevate the spirit and console the heart. You can blend them with rosewood, rosehip, lavender, sandalwood, cocoa butter or Shea butter to get exotic body butter as a DIY. You can use ylang ylang in your daily skincare rituals. Where To Buy The Original Aura Cacia Oil? 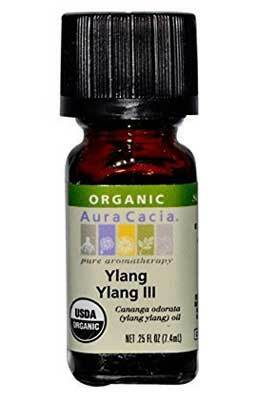 You can buy this essential oils from the Aura Cacia at your local health store in case if you live in the United States, at their website, Walmart ( available online but not on the stores) and amazon.com. The Majestic Pure products are 100% pure and organic which are assured of parabens-free, GMO-free and cruelty-free nature. Their essential oils are made from simple and pure botanical ingredients which are rich and highly potential extracts of nature to offer the best of best benefits to you. Majestic Pure essential oils are from clean and pure ingredients of nature which will greatly nourish you inside out. The brand offers premium best quality essential oils, blends, carrier oils and other bathing and wellness range, do try. 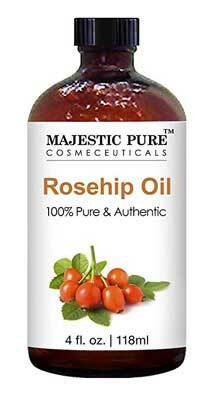 Rosehip oil is also described as ‘Oil of Youth’. It has amazing and incredible skin healing and nourishing properties, supplies vital nutrients and promotes a healthy nourished radiant skin. Majestic Pure’s Rosehip is a must have essential oil in your vanity. Rosehip is a ‘definite buy’ essential oil and don’t miss having them! 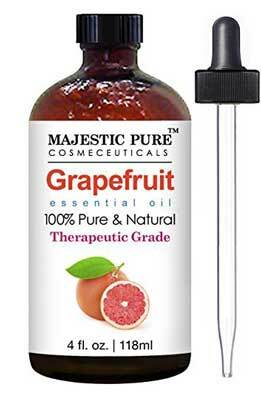 Majestic Pure’s Grapefruit Oil is packed with rich anti-oxidants, Vitamin C, natural phytochemical called Limonene which are extremely valuable and beneficial. Grapefruit oil supports multiple applications like aromatherapy, skincare, body care, base creams, lotion, hair care, a good sleep-aid. Where To Buy The Original Majestic Pure Oil? Now you know to choose the best essential oil brands and so the best essential oils too. But do you know how to find out the fake essential oils and their producing companies to avoid? Check out below. Chances are you may buy a product in the name of some top essential oil brands in some shopping website but it may be a duplicate one. To avoid this, buy essential oils from their official website. If you want to buy from e-commerce stores, check the seller’s authority to sell the essential oils. You buy a product with some brand name who produce the fake oils. They may add some chemical supplements and make the oil into the cheaper version. Such essential oil companies must be avoided. Given below are some of the tips to find out the fake oils. Put a drop of essential oil on a white printer paper and let it dry for a minute. If you see a ring left behind, the oil you used is not pure essential oil. It’s a fake one. There is some exception to this rule. Essential Oils such as German Chamomile, Sandalwood, Patchouli Oils and Vetiver have high consistency and usually deeper in color. Essential oils are inevitably costly. It takes a roomful of plant material to fill a bottle of essential oil. If the flowering plant is a scare one, the further cost will be added. Essential oils like rosemary, sweet orange have seemed in abundance. So they must be less expensive. Rose Bulgarian, Beeswax absolute, Lemon Balm and Helichrysum have come under rarity plants so they should be expensive. Check the prices of essential oil you want to get in the company website (we listed in the reputable essential oil companies). If you find a lot of price variation, then it should be susceptible. Check whether the essential oil is preserved in a glass container. If no, then it’s not an essential oil. Since essential oils have strong chemical compounds, in order to not react with plastic dark blue or amber colored glass bottles are used. In every essential oil bottle, its Latin name will be printed. For example, if you see only the common name like “Lavender oil”, it may not be an essential oil mostly this oil is nothing more than the perfumed oil. Since essential oils are all plant-derived choosing an oil that is organic only will make sense. Most companies use USDA organic seal in their label to declare they always step aside from the pesticide contamination. If you see a label as “wildcrafted” it is also a safe bet. Put a drop of vegetable oil or seed oil or nut in one index finger. Put a drop of essential oil on the other finger. Now rub fingers with your thumb on each. You can feel the differences in the essential oil finger. Watch it carefully. True essential oils always have a little slip but you wouldn’t feel thickness or greasiness in them. Some exceptions to this rule include the essential oils like Sandalwood, Patchouli, Vetiver, and German Chamomile Oils. (These have high consistency). If you have got an essential oil, check its quality using the steps we described here so you can spot the adulterated one easily. The essential oils from the best essential oil companies can be used in Diffusers, Dry Evaporation, Steam, Spray and many more applications. These can be used in our everyday life to promote our health and beauty. The diffusers are one of the newest trends in the market for a very good reason. Diffusers work by evaporating the essential oils to release the amazing aroma and soothing feel, either in water or heat. You can find a stylish and compact, ultrasonic, light-weight, travel-friendly, electric, no-water, terracotta tea-light types of essential oil diffusers. You can choose diffusers ideal for home, office, bathrooms, small cabinets, travel according to your convenience. Almost all top essential oil brands have released the essential oil and diffuser. It’s a simple technique. Place several drops of your preferred essential oil on a cotton ball or tissue and leave it in your immediate vicinity i.e. placing it on your desk, room table, dresser, wardrobe, bookshelves, next to your computer or laptop, office places. The open exposure and the available heat will start to slowly evaporate the essential oil releasing fragrance. Mix one-two drops of your favorite essential oil in steaming water cover yourself with a towel and a therapeutic aroma steam is ready. The steam method with essential oils stimulates and improves the blood circulation, removes dirt from pores, and gives you a nice refreshed skin. Steam method relieves headaches and tiredness. Spray is one easy way to get the wholesome goodness of essential oils. Dilute few drops of favorite essential with water in a spray bottle, and spray it as when as you need on the go. You can spray them to your personal places, office, rooms, bathrooms and you don’t need a deodorizer from outside. From lavender to basil you can dilute any of essential oil. Choosing a diffuser or steam or spray depends upon your choice of preference, but make sure that you choose oils from best essential oils brands because you might regret when you get a frown face upon results of low-quality essential oils. 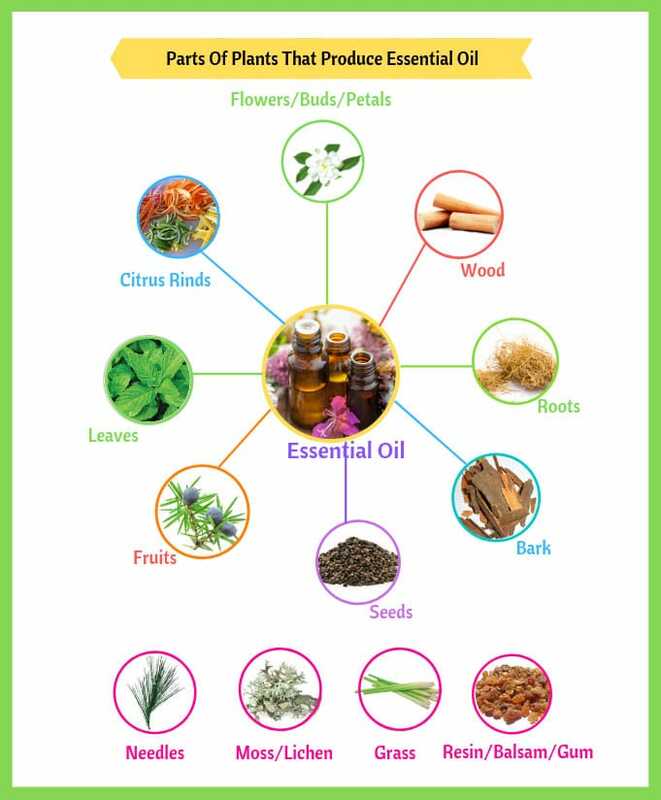 Essential oil uses is varied depending on different purposes starting with skincare, personal care to even medications. A small bottle of oil can do wonders when it comes with giving benefits. From cleansers, toners to creams, moisturizers, anti-aging creams, day & night serums almost all skin care routines impart the essential oils. Good quality essential oils contribute to skin nourishment boosts the skin health, repairs, rejuvenates and heals the skin and gives a radiant healthy glow without a doubt. When it’s come to skincare, the carrier oils for essential oils is must which helps to avoid the unnecessary side effects occurred due to the direct application. There are handcrafted hair care products that include the natural pure essential oils, organic botanical infusions within them. The essential oils and infusions are easily absorbed by the scalp, hair follicles and give you the nourished shiny hair over time and use. Reputable essential oil companies are selling the essential oils like sage, lavender, hibiscus, bergamot, almond oils and virgin coconut oil in their line of hair care oils. You can just dab a few drops of your favorite essential oils to damp skin after a shower or bath to let the sweet aroma linger around you. You can add it to your bathtub and used in your foot soak to have warm relaxing hours after a long tiring day. Essential oils don’t leave a place in medicine as well. Though these are not approved by FDA yet, from stress relief to anxiety and to appetite control essential oils are effectively used. These are used in making a first aid kit to soothe and comfort the scrapes, burns, minor cuts and all other minor injuries. The fragrance treatment or aromatherapy uses essential oils to treat the well being of one physiologically or physically. Essential oils which are used in aromatherapy sends a trigger to the brain, it then heals the body. From hormonal imbalances to the depression, anxiety it heals almost all the ailments. With the variety of scents essential oils produce, they are very popular in perfumery too. The essential oil can be blend with other essential oil and can create floral, citrus, earthy and spicy scents too. 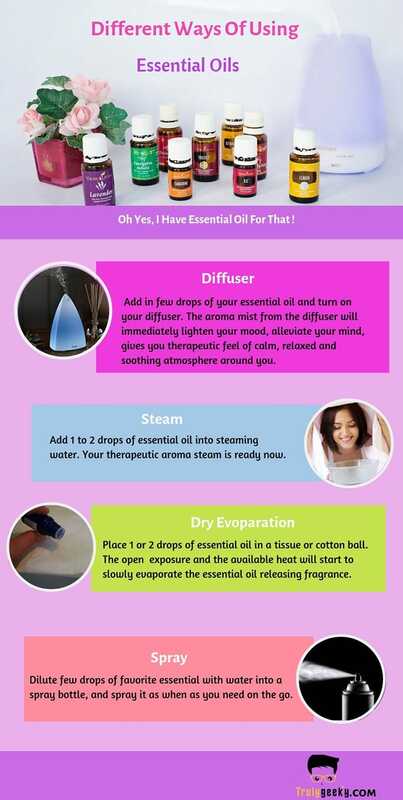 Apart from using in spa and diffusers, essential oils can also be used in cooking. Adding couple or few drops of essential oils is quite easier than spending time in slicing them or chopping them. Since essential oils are much concentrated, you should always use it in the minimum quantity. For safety and of course the flavoring purposes, dilute the essential oil with olive or coconut oil. So, which brand of essential oils are safe for internal use and can we use all essential oil internally? Some brands with the therapeutic grade given as “yes” in the table are the best brands for internal use. But not all the oils can be taken internally except lavender, bergamot, cardamom, citrus, thyme, peppermint, cinnamon, coriander, ginger, and anise oils. The essential oils are wholesome of nature’s bounty to us. From skincare to cooking, the ways with which we can use these essential oils are amazing. At the same time, getting your essential oils from the best essential oil brands is very important. Be cautious while buying the essential oil. We love to receive the responses from you. Also, please share it on social media and help us to interact with more people.